Is it possible to reinvent the great laugh-a-minute American comedy The Odd Couple? How can you improve on the ultimate clanking and clashing duo of Oscar and Felix? 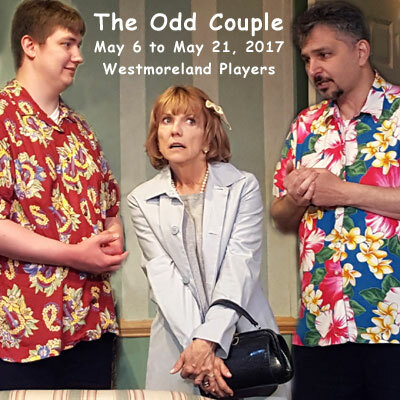 The Westmoreland Players present the female version of The Odd Couple, introducing Olive and Florence and their bevy of girlfriends, all gathered for a hot night of Trivial Pursuit! No less ruthless than the boys’ poker game, the ladies play to win and bring home the comedy. See it live onstage as veteran actresses Linda Stough and Kathryn Shepherd take on Florence and Olive May 6-21. Director Tommy Neuman guides the girls to lend their comic expertise in these unforgettable characters. Devoted Players Carolyn Reiner, Janice Coates, Julia Clay, and newcomer Mary J. Leslie fill out the female ensemble of faithful friends. Father-and-son team Michael and Kyle Snider lend their Spanish accents and ’80’s flair to play the hot hombres upstairs. You won’t want to miss the hilarity of game night with the girls and date night with the Costazuela brothers! Neil Simon’s comic battle of opposites has a long history. The original male-oriented play debuted in 1965, followed by a hit movie and long-running TV show. 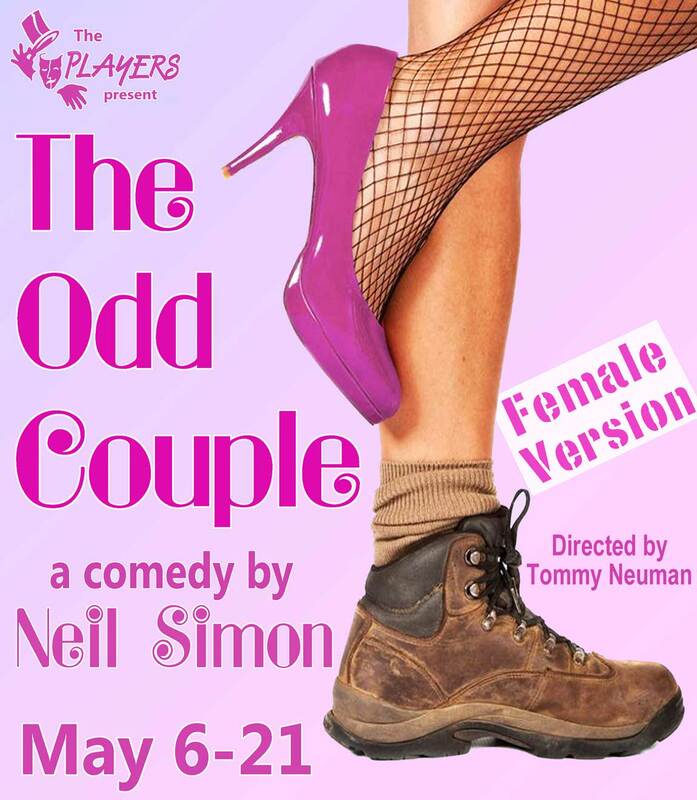 Not yet done with his iconic tale of unlikely roommates, Simon offered The Female Odd Couple to Broadway, starring All in the Family’s Sally Struthers as Florence Ungar and Oscar-winner Rita Moreno (West Side Story) as Olive Madison. These two leading ladies breathed new life into the classic situation of mismatched roommates. Linda Stough also produces, Janet Baserap stage manages and dozens of other enthusiastic volunteers give it their all to insure your enjoyment.